5 5. Open a door to other dimensions? The Large Hadron Collider (LHC), the particle accelerator of the European Organization for Nuclear Research (CERN), revolutionizes the scientific community with each of its findings. CERN, the author of the discovery of the Higgs boson, their next plan will lead an unprecedented experiment by clashing subatomic particles near the speed of light in an effort to recreate the conditions immediately after the big bang. Research, journalist and American writer Robert Bridge has compiled 10 data about CERN’s Large Hadron Collider (LHC) in an attempt to clarify the controversial targets that are expected to be achieved. Between France and Switzerland, the $ 9 billion CERN colliding complex is located at a depth of 175 meters and its complex of tunnels runs along a 27-kilometer circuit. 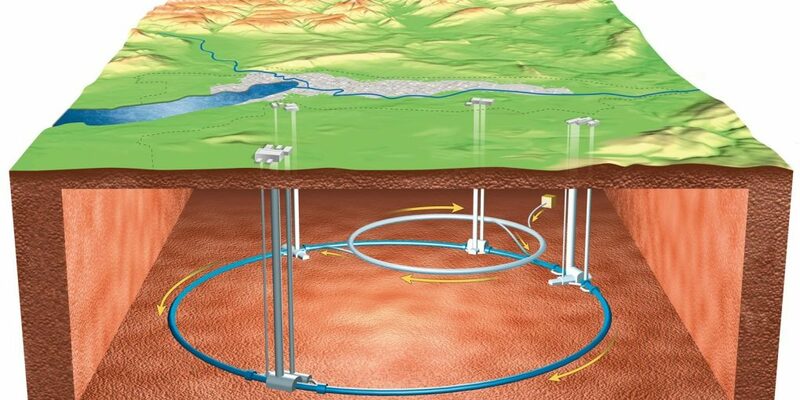 Scientists involved in the project claim that the laboratory was built underground because the Earth’s crust provides protection from radiation. The CERN collider is made up of about 9,600 – 100,000 times more powerful than Earth’s gravitational force – firing protons into a circular track at mind-boggling speeds. “Lightning can rotate for up to 10 hours, traveling at a distance of more than 10 billion miles, enough to reach the confines of our solar system and back,” says Bridge. According to the CERN website, by hitting two heavy ion beams (a scientific event to be held next September), the temperature conditions that took place in the universe after the ‘big bang’ (more than 100,000 times Temperature of the interior of the Sun). “The ‘particle of God’ found by CERN could destroy the universe,” Hawking wrote in the preface to the book ‘Starmus‘, a collection of scientific conferences. The physicist warns that the Higgs boson could become unstable at very high energy levels, which could cause the instantaneous collapse of space and time. But Hawking is not the only voice that predicts a possible catastrophe if CERN continues in the lane of atomic acceleration. Astrophysicist Neil de Grasse Tyson argues that this experiment could cause the planet to “explode”, while Otto Rössler, a German professor at the University of Tübingen who filed a lawsuit against this giant laboratory, says that this facility could trigger the formation of a Small black hole that, in case of being out of control, could destroy the planet. 5. Open a door to other dimensions? This comment generated among the scientific community a concern related to the existing risk of the collider ‘accidentally’ inviting our world to unwanted visitors of other spatiotemporal dimensions. “I’m going to let it be the reader with his imagination to determine whether CERN’s public relations team opened the door to speculation – not to mention the myriad of conspiracy theories – by opting for the particular logo design,” it states. Of all the conspiranoic speculations and theories that surround the Great Collider, the one related to its location in Saint-Genis-Pouilly, a French commune in the Rhône-Alpes region stands out. Many point out that the place chosen is not accidental, because ‘Pouilly’ comes from the Latin ‘Appolliacum’ and it is believed that in Roman times there was a temple in honor of Apollo with a gateway to the underworld. “Religious leaders – always wary of the aims of the scientific world – made a connection with a verse drawn from Revelations (9: 1-2, 11), which refers to the name ‘Apollyon. '” And he opened the pit of the abyss … And they have the angel of the abyss, whose name in Hebrew is Abaddon, and in Greek Apollon, “says Bridge. CERN has been involved in the race to find the elusive particles or phenomena responsible for dark matter (23%) and dark energy (73%). “In essence, what the CERN experiment hopes to achieve is to separate through the particle accelerator the invisible dark matter, which has been described as the bonding glue of the visible. There is only one problem: no one knows what the consequences will be if that goal is achieved, “he says. Although most companies avoid any connection with religion and the spiritual world, CERN has chosen as a mascot a Hindu god. Just outside the building is an ancient statue of Shiva, ancient Apollyon, and the god of destruction. In view of its forthcoming atomic collision, which is scheduled for next month, the media have been barely touched on the risks that might be involved, even though much of the scientific community warns that it could be even more dangerous than the tests that were made prior to the introduction of the atomic bomb. “Unfortunately, ironically, CERN – which essentially governs itself as its fief – functions as invisibly as the particles it tries to study,” says Bridge.